Wild steelhead are a prized fish run for Willamette Falls. But this winter, one of the lowest runs on record has the Oregon Department of Fish and Wildlife doing whatever they can to boost the steelhead count at Oregon City. That includes trapping sea lions -- one of the steelhead's most prevalent predators -- and transporting them about 230 miles to the Oregon Coast. 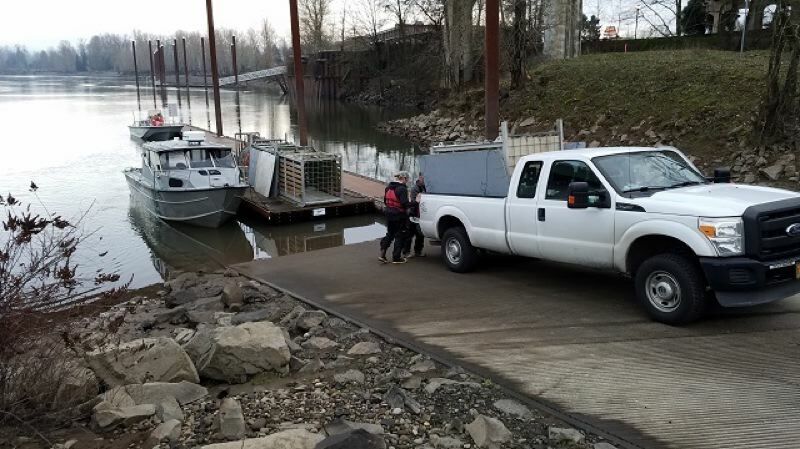 In four weeks of the program during February, Bryan Wright with ODFW said they've trapped four sea lions and transported three, two of which have already returned to the falls. He estimates nine California sea lions around and 10 stellar sea lions around Willamette Falls. The mission is vital to the steelhead population, according to ODFW. "The situation here is critical," Wright said. "With the California sea lions setting up shop here they consumed about 25 percent of the run last year we estimated. There is a risk the population could go extinct." The mission is also expensive and time consuming. "It's not cheap," Wright said. "We have three or four people assigned to this for three to four days a week for several months and we really don't have a budget for that." Since it's not a long-term solution, ODFW says it has applied to the federal government to use lethal removal if necessary to remove the sea lions. They're not expecting a response this year.